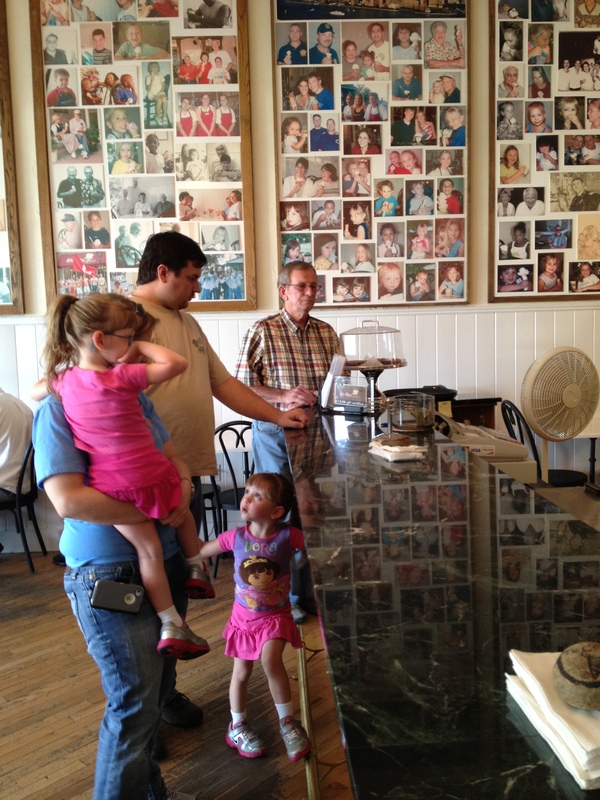 Cool Off 2012: Tic Toc Ice Cream Parlor | Oh, the Places We See . . .
Makhaila serves the finest ice cream around at Tic Toc! 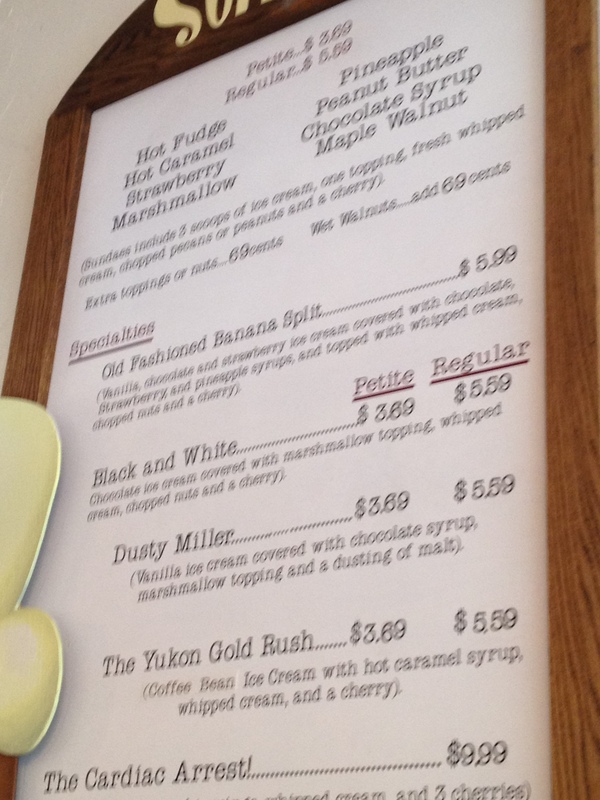 It’s been fun writing these blogs for Cool Off 2012, a review of area ice cream shops we love to patronize. Selecting one as “the best” is not only difficult . . . it’s impossible. 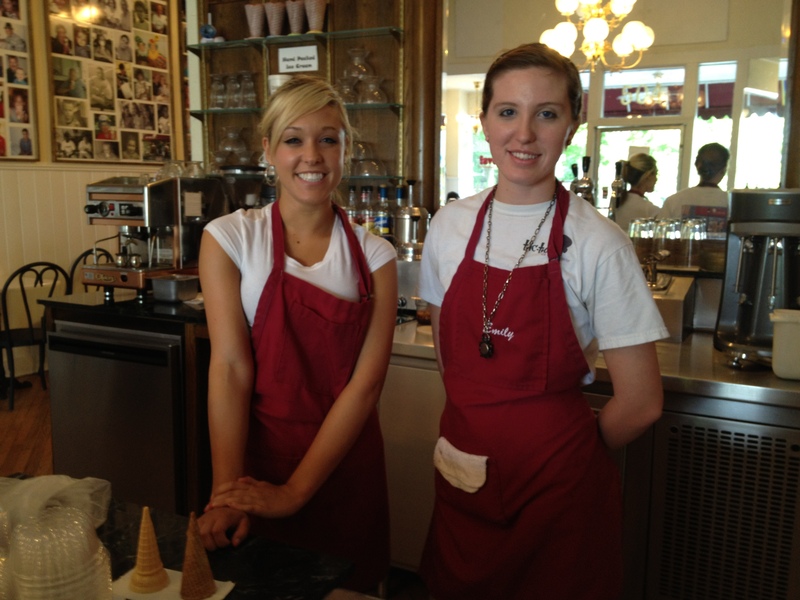 They each have remarkable ice cream and concoctions to come back for. But we’ve saved what we think is our favorite for last. 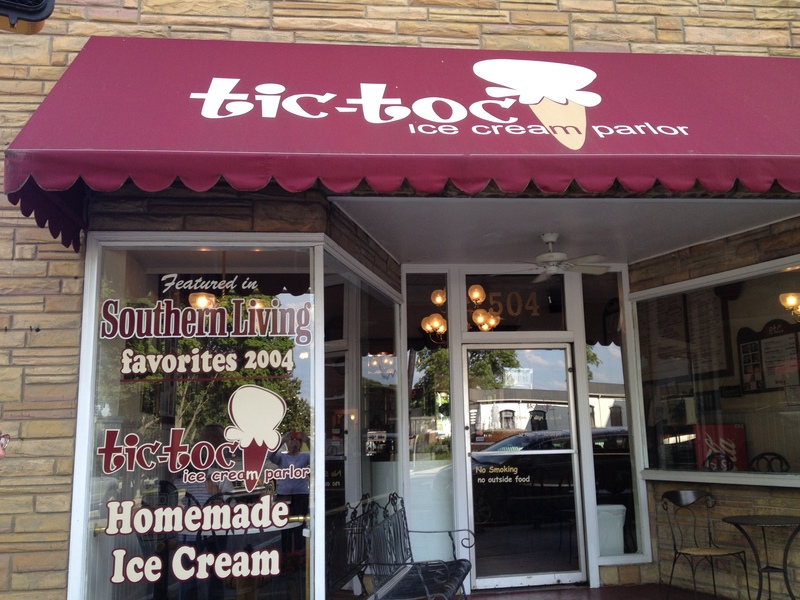 Our go-to place for the creamiest ice cream, most interesting dessert creations, and the best back-in-time location, is the Tic Toc Ice Cream Parlor in Loudon, Tennessee, about 25 miles from Knoxville! Nestled in an old building on the corner of Grove Street, Tic Toc makes you feel as if you’ve come to the right spot to cool off, but you’ve done it in a way-back-when kinda place. 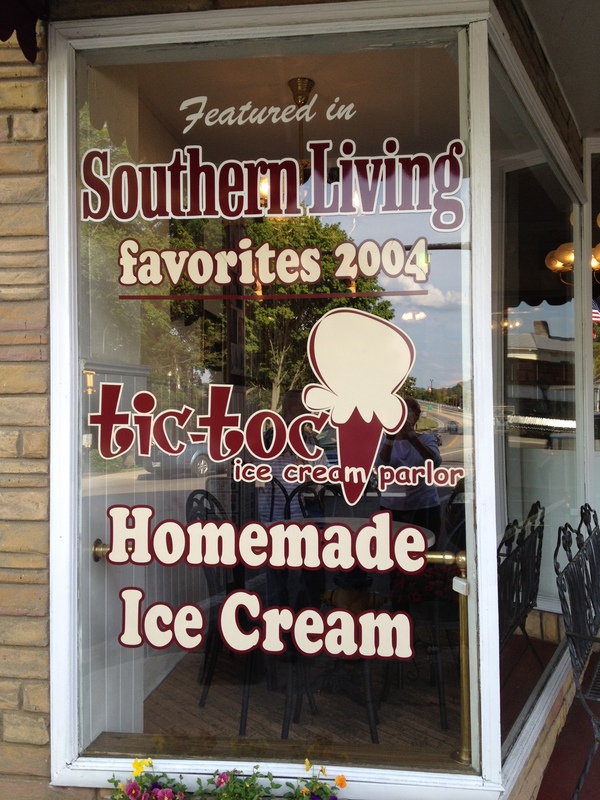 Only open 12 years, Tic Toc has quite a following, judging from the lines out the front door and the review in Southern Living praising it as a destination for quality ice cream, shakes, floats, and sodas. We first encountered the Tic-Toc when we set up our antiques on the grounds of the Loudon County Courthouse for the Antiques on Mulberry show each fall. Those long, hot days sitting in the sun talking to dealers and customers made us look around for something cold and satisfying. When we asked where to go for an afternoon treat, one of the dealers pointed us to the Tic Toc! Our son, Jeff, remembers it fondly, too, since we treated him to a double scoop cone for helping us repack the van for the return trip home. Bob and Mary Jones, who’ve owned the shop for seven years, use only the finest ingredients — fresh cream, Madagascar vanilla, hand-chopped chocolate chunks, and other great add-ins. They flash freeze each of the 24 flavors so there’s not even a hint of freezer burn. You can really taste the difference. Big scoops of this creamy, rich goodness mound up and over sugar or cake cones or hand-made waffle cones. It just doesn’t get any better than that! Black and White — Chocolate ice cream covered with marshmallow topping, whipped cream, chopped nuts and a cherry! Dusty Miller — Vanilla ice cream covered with chocolate syrup, marshmallow topping and a dusting of malt! The Yukon Gold Rush — Coffee Bean ice cream with hot caramel syrup, whipped cream, and a cherry! The Cardiac Arrest — 5 scoops of ice cream, 4 toppings, whipped cream, and 3 cherries on top! So many choices . . . so little time! Interesting ice cream names make you want to double or triple scoop or come back for more: George Washington Cherry, Chattanooga Chocolate, Blackout, Plantation Praline, Rainbow Party, and Loco Coco! Two other best sellers are the Affogato — vanilla ice cream topped with piping hot espresso — and The King — a banana split made with peanut butter crunch ice cream! The shop features a wall of photos marking memorable moments and people who’ve made the trip to the now-famous Tic Toc, the little shop that not only could, but does! Panels of photos in the background record the history of the Tic Toc. So, drive on over to Loudon, a quaint Southern town with a great little ice cream shop. You’ll find the Tic Toc catty-cornered from the Loudon County Courthouse and just down the street from one of our all-time favorite antique shops, The General Store! It’s a great place to “sit a spell” and cool off in style! 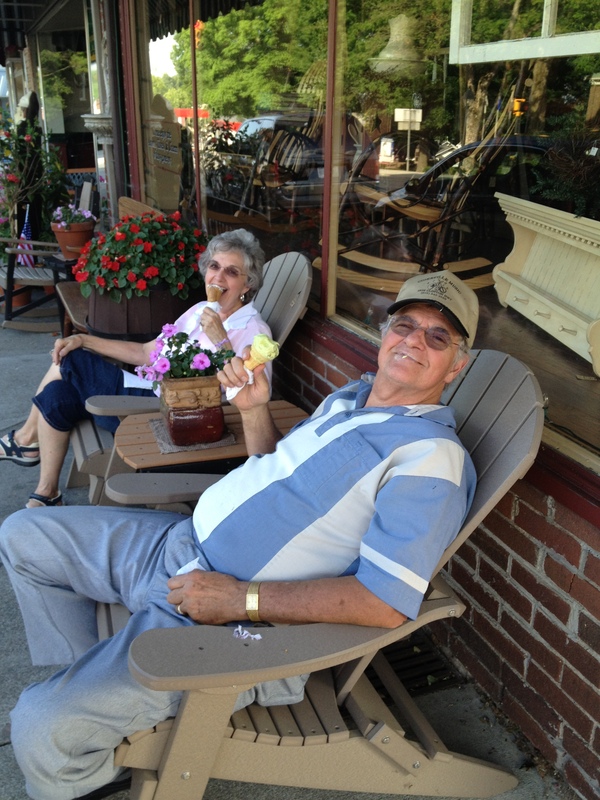 Two happy customers relaxing on The Square in Loudon eating Tic Toc ice cream! For reviews of the other Cool Off 2012 destinations featured in this blog, go to the top of this post and look at the right-hand column. Thanks! 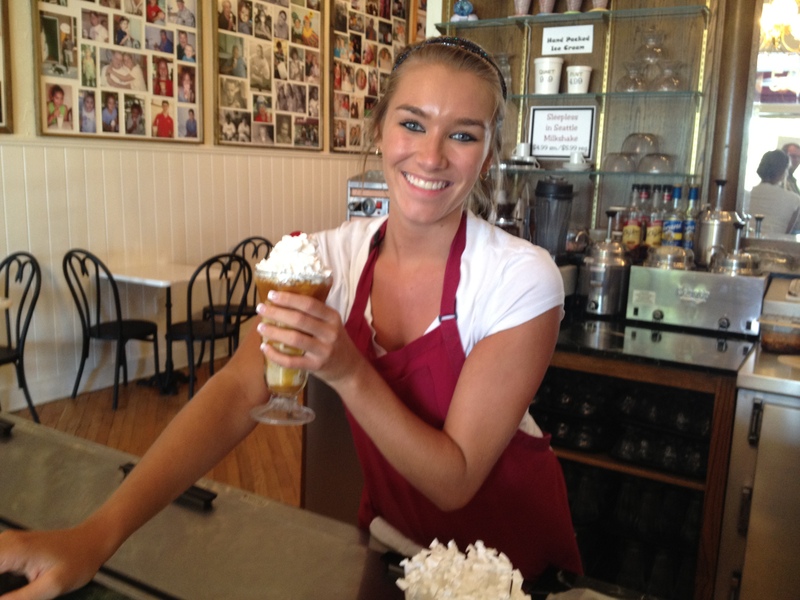 This entry was posted in Destination and tagged Cool Off, dessert, ice cream, Loudon, nostalgia, Tennessee. Bookmark the permalink.